Coastside residents have a special relationship with water. We live near the ocean and our shores are part of the Monterey Bay National Marine Sanctuary. When I chat with buyers about our water resources, frequently this leads to questions about where our drinking water comes from. This is a brief overview; it will not address the important needs of our local farmers, also important. Here is quick summary for you and places to get more information. Public Coastside County Water District (CCWD) serves Half Moon Bay, El Granada, and Princeton. The first two are owned and operated by the San Francisco Water Department; the latter two are owned and operated by CCWD. Pilarcitos Creek runs through Half Moon Bay coming from the Santa Cruz mountains, through Pilarcitos Canyon and flows down into the Pacific Ocean. The system consists of two water treatment plants, 17 miles of transmission pipeline, 83 miles of distribution pipeline, several water storage tanks, and other equipment. The average annual yield from these four sources is about 830 million gallons. Approximately 28% of the District’s water supply is produced locally from both wells and surface water. The remaining 72% is purchased from the SFPUC. Hetch Hetchy Reservoir continues to be a major source of water in California. Half Moon Bay also has two golf courses. Past reports have shown that water is sourced from the Ocean Colony Partners Balboa wellfield, which began pumping in the 1980’s for the first golf course. I do not know if this is currently the case. Private Montara Water & Sanitary District (MWSD) serves Moss Beach and Montara. The Montara Water and Sanitary District is served by groundwater sources from San Mateo Coastal Basin Aquifers and surface water from the Montara Creek. 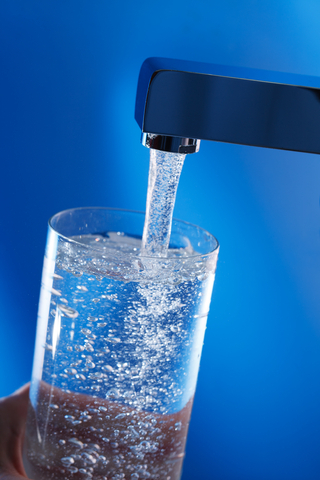 The sources of drinking water (both tap water and bottled water) include rivers, lakes, streams, ponds, reservoirs, springs, and wells. Until 2013, MWSD could not sell new connections due to a nearly 40-year moratorium. The district was authorized to do so in December 2013, when the California Coastal Commission approved a public works plan amendment. 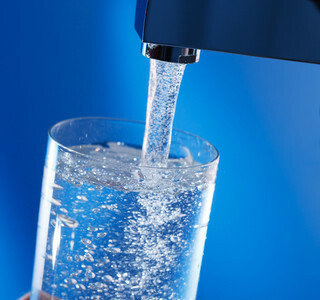 Contact MWSD for current information on getting a water connection for a new build or transfer. In January 2015, the District purchased the Pillar Ridge Water System including three wells, the water treatment plant and two storage tanks for a symbolic $1 purchase price, according to a Jan. 7 prepared statement. Several homes and parcels of land have private wells located on them. If you are buying a home with a well, the seller may provide a well report for your review. Governor Brown’s Executive Order on the drought mandates (2015) – Provides a summary of Executive Order B-29-15 and a link to the full text.